"well-hidden shower and sleep facility"
✅ Trip Verified | Biggest airport find: Manila Terminal 2, opposite gate 7. Illy coffee shop is hypercooled, maybe 72 in here, compared to humid 80+ in the terminal. Can I eat and drink for another two hours? Locals have dug into their luggage, and are wearing their leather jackets and corduroy overcoats against the delightful chill. Terminal 3 there’s a well-hidden shower and sleep facility on the top level, behind McDonalds, ground side (outside security). US$20 for 7.5 hour snooze, shower, snacks. 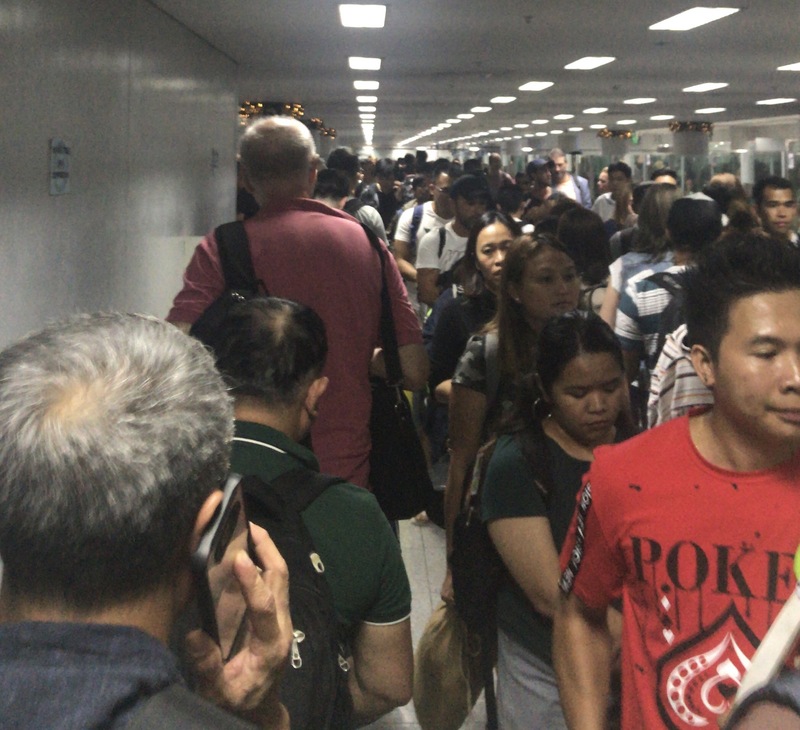 ✅ Trip Verified | It’s the same old airport, but the international departure has only one toilet for the men with 4 urinals and 3 cubicles that the queue is very long. Embarrassing and frustrating. It’s the fruit of very poor planning, lack of vision and obvious corruption! 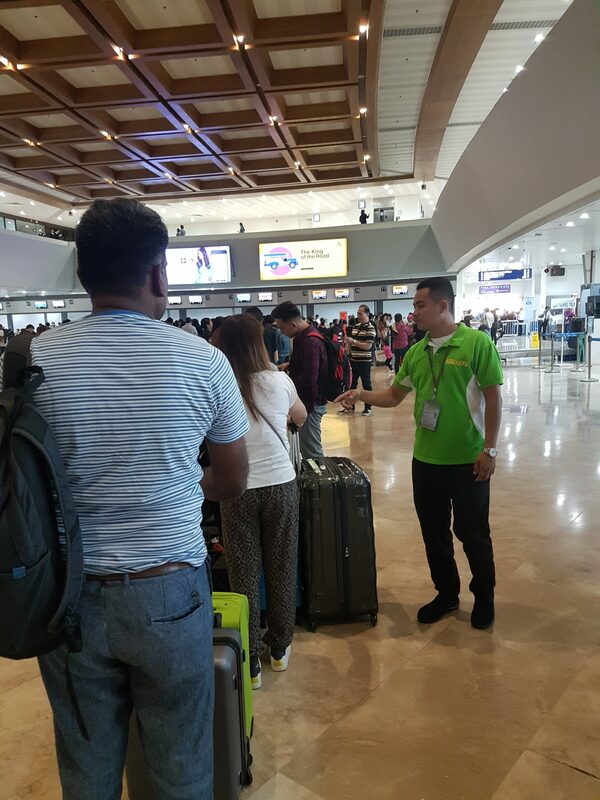 Not Verified | Security at NAIA Terminal 3 randomly confiscates certain items. I was singled out for secondary screening for no reason and three officers went through my carry on bags. They confiscated a roll of medical tape I had bought in Japan - this is tape that serves to prevent runners injuries. 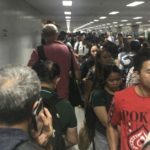 Apparently the so called security officers at NAIA have a list of dangerous items forbidden in carry on luggage - a special list that has never been made public to anyone. For some obscure reason medical tape is not allowed. It is surely expensive medical tape from Japan, and they surely kept it for themselves, the so called security agents. Note that there is a first so called security screening with X-ray machines at terminal entrance (a nice line all have to go through, in the heat, outside, prior to even making it to the checkin areas). Would it not make sense that the passengers be informed at the first security x day that medical tape is not allowed on board according to the law of the Philippines? That way the passenger would have the option to check the medical tape in with the airline. However in this case the security officers positioned after immigration desks at the second security screening would not have the opportunity to confiscate and keep items of their choosing to themselves. Not Verified | The airport was over crowded and the queue insanely long. No announcement on how to manage priority lanes. Even upon boarding, there were many hiccups and the boarding was even further delayed. The airport by itself is poor with no much restaurants, only snack foods. "Queueing line so slow and hot"
Not Verified | Wifi not working, lights so dark. Queueing line so slow and hot, multiple times there were checks of passports and boarding passes. So stressful especially when you have kids/family. ✅ Trip Verified | There is no plan. It's chaos! No comfortable customer areas in check in area. Not enough Philippines Airlines staff, and the ones there were being trained. Online checkin not working. Was mis-directed to departure gates. Couldn't find gluten free meal options online (or any meal options). Finally I go through 3 security screenings, and make it to departure lounge. There is another queue and screening there, and I got through 2 hours before boarding and once through, I cannot use toilets or shops or charging station etc, of course I had to use the toilet and get checked again. What a mess! 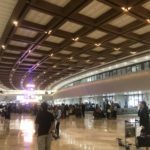 ✅ Trip Verified | I arrived at 555am for my 735am flight and there were very long lines just to enter the airport building. To add to it, there were people who bribed to cut in (I was offered that for USD 20 but I declined). After 20 minutes, I got in to another chaotic area. Check in was thankfully quick for Singapore Airlines (took only 2 minutes). I then joined passport control which wasn't too bad (10 minutes) but then the security queues - only 3 screening stations in operation so there were literally hundreds of people in the queue. It took about half an hour to clear that. So, 1 full hour from the time I got out of the car until I cleared security. It may be the newest terminal but it looks plain and old already. If the 38-year old Singapore Changi is a 5* hotel, then NAIA T3 is a much new 2* budget hotel. Getting off the plane at Changi, if felt like I took a flight from Hell to Heaven. Not Verified | Airport authority please review the cleanliness status on this airport terminal 3 ceiling it looks like it hasn't been clean for a year and toilet faucets almost faded already the original colour. And the lines from arrival and departure in the immigration were really frustrating to see. We travel for how many hours then we need to queue for 40 minutes to an hour. It's really disappointing that the national government hasn't upgrade yet to fully technologically method of processing of passport. You should have enough staff to cater to the needs of the travellers who want to depart and coming. It was previously really efficient now gradually turning into old habits. Long lines, no immigration forms available, and staff looks like no direction. I hope airport authority read this review and assess the degrading service in the airport. "had no issue navigating our way around"
✅ Trip Verified | My experience of Manila is only of Terminal 3, which is the newest of the four terminals at the airport. Upon arrival we had to fill out an immigration card in order to get through immigration, although we found it hard to find any blank cards as they were hardly any at the desks. However, once we had filled these out the queue for immigration was less than 10 minutes which was acceptable. The baggage reclaim area is bright and airy and the bags came through quickly. We had a five hour layover which meant we explored each and every shop in the terminal. The ground floor has a small range of shops including some high end labels and also a Starbucks, whilst the upper level has a wider selection of shops selling everything from sportswear to make up to souvenirs. There is also a good selection of eateries in this terminal, anything from fast food to a formal sit down meal. There is a small spa and an area where you can rent a bedroom if you have a longer layover although we did not use these facilities so cannot comment on what they are like. We found the toilets to be generally very clean and there are countless cleaners walking around the terminal ensuring it is kept in good order. Upon departure entry into the terminal building requires your baggage to be scanned which led to a few queues outside the building but no more than five minutes. Access to the check in areas is also controlled with only those with valid tickets for travel allowed in. Once passed security the terminal is separated into international and domestic departures and you cannot move between the two areas. We experienced both sides during our trip and as expected the international side has far more shops including a fairly extensive duty free offering. The domestic side of the departure lounge had a few eateries but mostly fast food, nothing too inspiring. Signage throughout the terminal was generally very good and we had no issue navigating our way around. There is plenty of seating both in the international and domestic departure lounges with good views of the runway and apron to one side and the Manila skyline to the other. The free Wi-Fi is only available for an hour and requires a code that is sent to you by text message so we did not use it. It is also worth mentioning that on the upper level of the terminal there is a footbridge to Resorts World where it is possible to spend a few hours browsing the shops or having a meal. It is also possible to store your luggage for free at Resorts World at either of the security desks to save you from dragging it around the shops. ✅ Trip Verified | The experience at Manila airport was a nightmare. I intend to transfer from Terminal 4 to Terminal 3 for my international flight back to Hong Kong. At the transfer desk, I was informed that the frequency of the shuttle service was once every 45 minutes. My family needed to fight through the crowd to get a vehicle to get me to Terminal 3. Immigration was generally smooth at Terminal 3, but the security check was a complete chaos. People were lining up till it almost overflowed into the immigration counters. We finally found the end of the queue. After having lined up for 20-30 minutes, all of a sudden an airport security officer turned up and started a new queue at another end and forced our whole queue to start lining up once again. i.e. we are at the end of the queue once again after lining up for so long. He even tried to pull/push some of us when we were trying to make a point. How disgraceful! Is it really that difficult to put up some tensa barriers to make a proper queue? Does ill-treating passengers somehow exemplify your authority? The whole airport security clearance took around 1 hour. High passenger load is no excuse for staff to ill-treat passengers. Good crowd control is a very basic requirement in airports. The Philippines cannot compete with neighboring ASEAN countries if the state of the airport stays the same.